Is Maturity Just Realizing that Your Childhood Dream was Wrong? Years ago, my dad told me something along the lines of “Those who’ve had good lives tend to end up where they’re from.” At the time, I was in the midst of my decade-long obsession with New York, so I brushed his words of wisdom aside and didn’t think about it again until recently. About a month ago, I visited Hawaii. I don’t mean to be dramatic, but this week-long trip changed my life–and Anthony’s. Since moving to New York almost two years ago, this was my second time to visit Hawaii, and Anthony’s very first since he moved east with me. Our trip was filled with beautiful beaches and hikes, fantastic food, reconnecting with old friends, and, most importantly, spending time with my family. It was a perfect vacation–and yet, it wasn’t a vacation. This had been my former life, and being there again, as usual, made me feel as though I’d never left. The only difference was that I had now been living in my dream city with an awesome boyfriend and a new appreciation for my hometown. During the end of our trip, I hesitantly implied to Anthony that it would be so much easier to raise our future family here. He laughed and said, “I’ve been trying to hint at that this whole time!” The fact that both of us had come to this realization relieved me–and excited me. Are we really considering moving back to Hawaii? Am I really considering leaving New York, the place I’ve been obsessed with for most of my life? On the plane ride back home, I contemplated our decision and why we had come to it. Our experience in New York has been great, but we are inevitably changing, and as we grow older, our priorities shift. They must. The week after our trip, Anthony proposed. We were at one of my favorite parks on Manhattan, lounging on the grass after a luau-themed brunch in Soho. I cried, of course, and said “yes” between joyful sobs. His proposal–and my acceptance–wasn’t a surprise. It shouldn’t be, as we had long known that we would eventually get married. Besides, who proposes when they aren’t completely sure of the answer anymore? Perhaps the only significant changes that have occurred due to our engagement so far are: 1) I wear a stunning black Tahitian pearl ring, 2) Our families and friends feel old, and 3) We can finally fantasize about our future family without feeling like we’re jumping the gun too much. This third fact leads to the suspiciously impeccable timing of our decision to move back to Hawaii to start raising a family. So, why, exactly, am I planning to ditch my dream city for the place that I had been so ready to leave when I was a teenager? The main reason is that my family lives in Hawaii. I still don’t know any other family that remains so culturally and intellectually stimulated, cooks as well as they do, and dedicates such a large portion of their lives to the underrepresented. Anthony also has some relatives on the island, which works out perfectly. I don’t know how anyone raises children in a country of abominable maternity leave policies without help from family. I’ve read dozens of scandals concerning nannies, so my ability to entrust anyone besides relatives with handling my children has depleted. When I think about those I know who have grown up in New York, they attended the best schools and are currently doing fairly well–yet, they are almost always heavily-medicated and come from divorced or separated families. That lifestyle may work for others, but I do not want to raise my family that way. Since life in general is easier in Hawaii, raising children the way I want to raise them (i.e., attending the right schools, participating in extracurricular activities, constantly going to various cultural institutions) does not seem so out of reach. I really don’t have the time or energy to make sure my child gets into the perfect preschool that will dictate whether or not they end up in a high school with metal detectors. People seem happier and healthier in Hawaii. It must be the sun, picture-perfect scenery, and mild climate. I didn’t know that depression–the mental illness for which one can be clinically diagnosed–actually existed until I moved to the Mainland for college. Sometimes when I’m on a subway in New York, I look around and wonder why everyone isn’t crazy. New York’s environment is conducive to going insane. 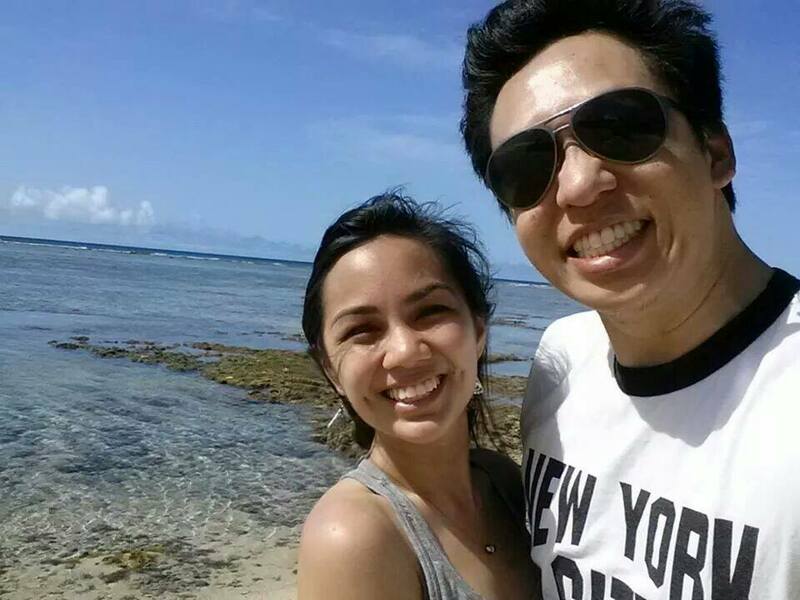 On a more superficial end, and it may just be my imagination, but people seem more attractive in Hawaii, too. I don’t know if it’s all the racial mixing, natural tans, yearlong access to free outdoor activities, or the fact that Asian influences make everything look better. New York may be the land of supermodels and well-dressed professionals, but Hawaii has naturally beautiful people. Sure, New York has tons of cultural events like Hawaii, but everything is hyped-up. You have to compete with 8 million people for anything worthwhile. When we were in Hawaii last month, my parents took us to an Okinawan festival. The event was at a college campus a few minutes from our house, so we drove over about fifteen minutes before the event and were able to spread out on the grass with a perfect view of some of the most interesting dance performances I’ve ever seen. This is typical of the events my parents took me to growing up, and it wasn’t until I moved elsewhere that I realized what a privilege this was. In New York, if an event is actually free, there are hour-long lines, and you can forget about being able to leisurely park yourself on the grass with an ideal view. If you don’t want to be treated like cattle in New York, you have to pay big bucks or know the right people. Also, I don’t know if it’s because Hawaii takes pride in its “Aloha Spirit,” or if Hawaiians just treat me better, but people somehow seem much nicer in Hawaii–and that feeling makes such a difference in a society in which trusting others is crucial for survival. Of course, not everyone has had the same experiences I have had in Hawaii, and I completely understand why many leave the islands. If, perhaps, my parents hadn’t exposed me to so many great things, or I had grown up in a different neighborhood, I probably would feel very differently. Each experience we have defines who we are and who we want to become. There are definitely many reasons I’ll miss New York. The best thing about this city, hands down, is its public transportation. This is the factor that always seduces me into never leaving the city. I hate driving and am absolutely terrible at parking; I have dented/scraped my mom’s car far too many times. Even though other American cities boast decent public transportation systems (e.g., D.C., San Francisco, Boston), none of them comes even close to the efficiency and scope of New York’s subway system. New Yorkers who complain about MTA have clearly never had to depend on the public transportation systems anywhere else. I also love walking. I walk a lot regardless of where I live, but New York is the only place in which I feel at home walking everywhere. People in other states only walk to exercise or to get their dogs to poop. Another thing I’ll really miss is the abundance of esoteric fitness programs. I currently get my exercise fix at two places throughout the week: 305 Fitness and Alvin Ailey, both of which will probably never exist in Hawaii for a while. 305 Fitness is a dance-cardio workout that involves strobe lights, a live DJ, and highly-energetic instructors. Alvin Ailey is a progressive dance school at which I can select from an array of classes such as Afro-Cuban, adult intermediate ballet, and Horton. The workouts at both places are tough and inspiring, and I will be very sad to leave them. In the end, Anthony and I will probably be in New York for at least three more years, as it will take Anthony that long to complete the process of professional certification. After that, we’ll see how we’re feeling. A family won’t be happening for a long time, so right now all we can do is enjoy New York to the fullest. Anthony and I followed a dream, and we’ve succeeded. He is finishing up grad school at the best school in the entire state, and I have a salaried job that gives me freedom, respects my interests and skills, and, most importantly, can support both Anthony and me. New York is perfect for twenty-somethings, and I pity other people my age that live anywhere else in the country. With my (now) fiancé by my side, I know I’ll be happy in either place. We’ll see where life takes us.